If you love the feeling of getting out of the bath or shower and wrapping yourself up in a warm and fluffy towel, you’re not alone. Now you can have this simple luxury in your home with the help of the best towel warmer. They come in a variety of sizes and designs that range from simple racks to fully self-contained units. However, there are dozens of towel racks/warmers to choose from, and this can make it difficult to find the one to fit into your lifestyle. This is why we’ve put together a comprehensive buying guide that will tell you exactly what you should look for in your new towel warmer rack. Our list of the ten best towel warmer reviews will let you quickly and easily compare them side-by-side as well. There are a few different types of towel warmers available, and picking one straight away can help narrow down your choice. Freestanding: Freestanding towel warmers are easy to pick up and move from room to room because they plug into a traditional outlet. They’re lightweight, and they offer a very flexible placement and use. Self-Contained Units: Self-contained towel warmers can sit on the floor or on a shelf. They plug into a traditional outlet, and you put your towels into these units to heat them. They’re great for small bathrooms or areas with limited space. Wall Mounted: Wall mounted towel warmers are slightly more difficult to install, but they take up less space. 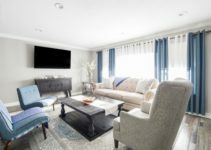 You can choose from one that is hardwired directly into your electrical system or one that plugs into a traditional outlet. No matter what type of towel warmer you choose, there are a few universal considerations that you want to keep in mind. An automatic timer is a great perk to have with your towel warmer. You can set it to turn on and off whenever you want. This works to save energy, and you won’t have to remember to turn it on or off again when you’re not using it. Do you want to use your towel rack solely for your bath towels? If not, you want to make sure that your towel warmer can safely warm other items as well. Things like bathrobes, pajamas, and smaller blankets are good things to consider. The size of the space that you intend to put your towel warmer in is also very important. If you’re really short on space, a wall mounted unit or a self-contained unit may be the better choice. You want to ensure that you have enough room to safely heat your towels without damaging anything around it. Some of the self-contained units are designed to work only with smaller hand towels or facial towels. You want to make sure that your towel warmer is large enough to accommodate your bath towel’s size without the risk of a fire or your towel dragging on the ground. Some of these towel warmers can run upwards of $100. It’s a good idea to get one that comes with a one or two-year manufacturer’s warranty. This can help to protect you in the event that your towel warmer stops working or gets damaged. 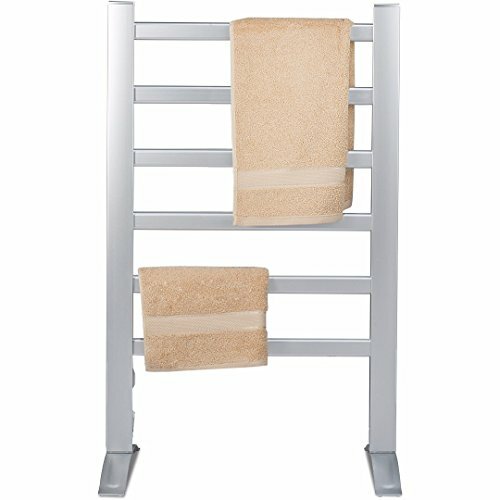 This towel warmer features an extra large design that can easily accommodate two oversized towels. You can also use it for a variety of other items including blankets and robes. The built-in heating element quickly and easily warms your entire towel, robe, or blanket without a problem. You can choose how long your towel or item is heated for with the timer, and you can set it for 15, 30, 45, or up to 60 minutes. The compact upright design is fully contained, and you can set it up quickly and easily with no tools. This mini towel warmer can hold up to 12 small or facial towels at once. 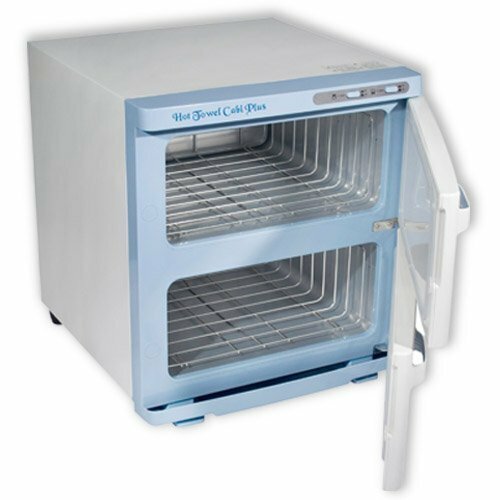 It is a built-in temperature control that ensures that the unit doesn’t overheat when it runs. It runs on electricity instead of bulbs, so you don’t have to worry about it burning out. The cabinet’s walls are all insulated, so you know that your towels will all get an even heat. The internal temperature fluctuates between 150 and 160 degrees, and there is a small drip pan included. This mini towel warmer is small enough to fit in several compact areas for easy storage. This towel rack is made out of stainless steel for a long-lasting device. It comes with a built-in on and off switch that makes it easy to turn it on when you need it and off when you don’t need it running. Both the horizontal and vertical bars are heated, so you’ll be able to hang several towels at once and let them heat. The coating is resistant to rust, corrosion, and smudges. When this towel rack is on, it only runs at 150 watts, so it’s a cost-effective option to use. 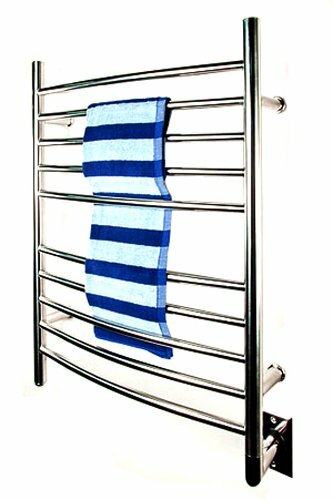 This towel warmer comes with 10 stainless steel bars that are evenly spaced apart and can easily heat two large towels or robes at once. You get a cord free design, and it mounts directly to the wall for a space-saving design. This product comes with a timer for your convenience so you can set it to run and it’ll switch on and off automatically. The bars are straight and made with a rust and corrosion resistant stainless steel, so they’re easy to clean and maintain. You also get a two-year manufacturer’s warranty. 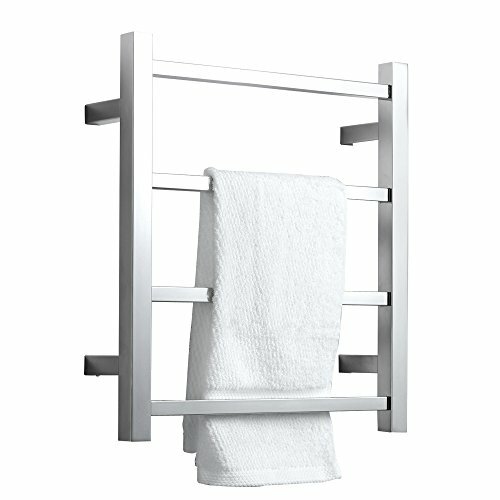 This freestanding towel rack is very user-friendly, and it helps to prevent mold and mildew growth on your towels. 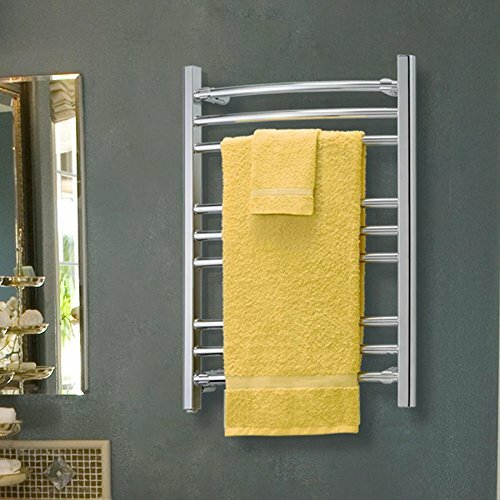 If desired, You can choose to mount the Innoka 2 in 1 Towel Warmer on the wall to save space as well. You get a built-in thermostat to help maintain a safe temperature. You simply turn on the switch and wait between 30 and 40 minutes. The towel rack will reach your set temperature, and you can heat your towels. You get six bars with this design, and it’s made out of lightweight and durable aluminum. You’ll get nine towel bars on this towel rack, and these bars are designed to deliver even heating for up to two large bath towels or robes. It is hard-wired, and it mounts straight to the wall for a space-saving design. This towel rack runs on 120-volts of power, and it comes with a programmable timer to save on energy costs. You can set it to run before you get in your shower and automatically shut off. The stainless steel bars are very easy to clean, and you can choose from brushed or polished stainless steel. This towel rack features a much smaller design that fits easily into smaller bathrooms. 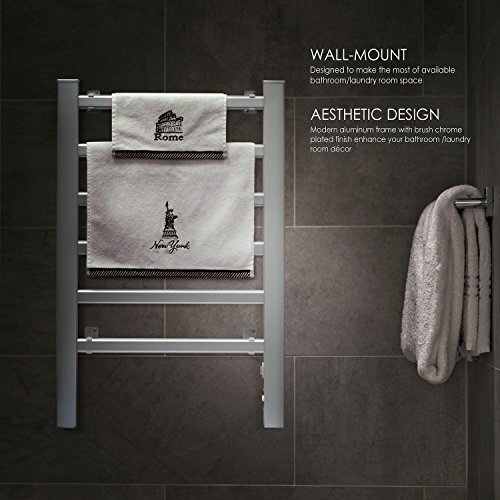 The square design has a modern look and feel, and this towel rack helps to reduce the chance of mold or mildew growth. It also has very low energy consumption rates, so it’s a more cost-effective option. You can choose from a hard-wired or a plug-in design as well. There is an easy on/off switch that makes it easy to choose when you want it to run. The stainless steel rack comes with a 36-month guarantee, and it’s a durable option. 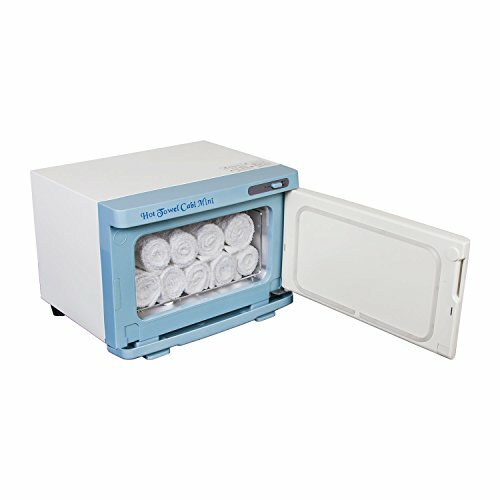 This double towel cabinet is designed to hold small hand and facial towels. You’ll get an internal temperature control that helps to ensure that the unit doesn’t overheat when it runs. It maintains a temperature between 150 and 160 degrees for warm towels. The heating element is padded, and this helps to ensure that you get consistent temperatures throughout the unit. You get a water drip pan to make clean up an easy and quick task as well. You’ll have warm towels in around 30 minutes, and you plug it in to run it, so you don’t have to worry about it failing. This self-contained towel warmer can hold 30 to 40 small washcloths or hand towels when they’re laid out flat. It is designed to evenly heat these towels all of the way through, and it doubles as a towel sanitizer as well. 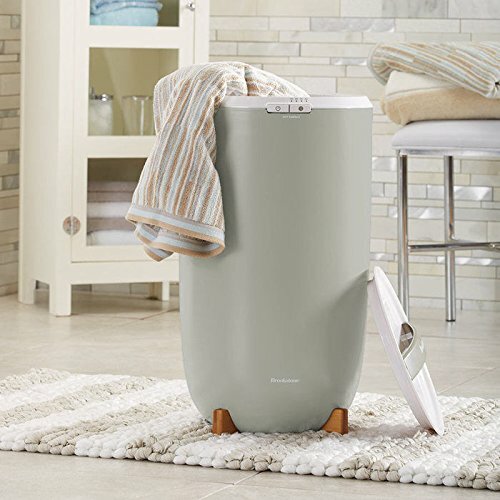 You get a built-in UV sterilizer to keep your towels free of germs, and a microcomputer controls the temperature. The inner chamber is made out of aluminum for better heat control, and it contains a durable shelf that holds several towels. There is also a drip pan to make cleanup easy. 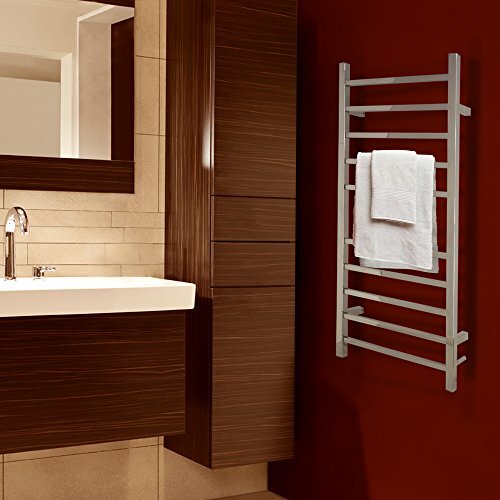 This sturdy free-standing towel warmer is made out of lightweight and durable aluminum. It also comes with a chrome finish for added durability. It’s easy to clean and maintain. The wide feet make this towel rack a very stable and sturdy option. It helps to eliminate mold and mildew growth on your towels when you use it. The evenly spaced bars ensure that your towels will heat evenly every time. You can choose to mount it on the wall, or you can use a freestanding design as well. It’s compact enough to fit in smaller bathrooms. A towel warmer can be a fast and easy way to add a touch of luxury to your home. Once you decide on the type of towel warmer that would work best for your home, you can start looking for your new one. If you keep our buying guide considerations in mind, you should be able to find a good towel warmer that will suit your needs. 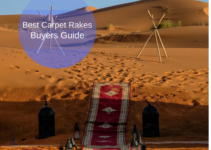 Our top 10 reviews will make it fast an easy to compare several high-quality options side by side.